Llyn Brenig stands on the border of Conwy and Denbighshire, and the reservoir was created to supply water to the Liverpool area and north-east Wales. The reservoir was begun in 1973 and opened in 1979. It is the 4th largest lake in Wales, with an area of 920 acres. During construction of the reservoir many Bronze Age remains were discovered, as well as a camp used by Mesolithic tribes. The camp has been dated by radiocarbon dating techniques to about 5700 BC. 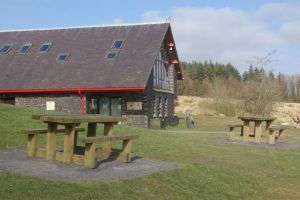 The visitor centre has a number of walking maps detailing routes in the area. One of the most interesting walks is a 4km archaeological trail, which traverses open countryside and should take about 2 hours to complete. The trail follows the shore of Llyn Brenig to Bronze Age cairns, barrows, and the ruins of several 16th century stone farm buildings. If you enjoy water sports, Llyn Brenig is the highest freshwater sailing location in Britain, with an active sailing club where you can learn to sail. The lake is also popular amongst anglers, and is well-stocked with trout. There are also 6 signposted cycling trails, ranging from 2 miles to over 9 miles long, and you can hire mountain bikes on site. 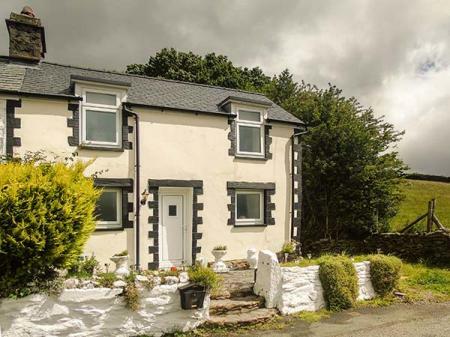 This double-fronted, end-terrace cottage is situated in a hamlet location, close to the village of Cerrigydrudion near Bala and Betws-y-Coed and sleeps five people in three bedrooms.